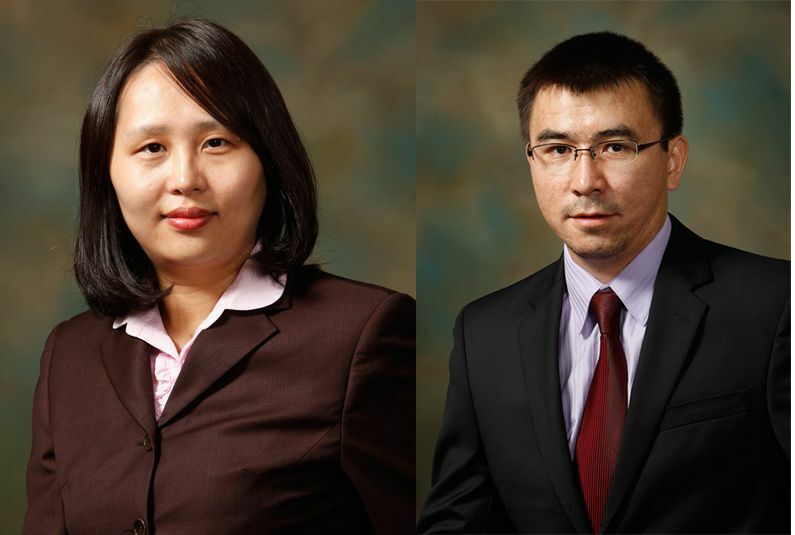 KENT, Ohio - Aug. 5, 2016 - PRLog -- Jing Wang and Yertai Tania, Ph.D. students in the College of Business Administration at Kent State University, will defend their dissertations to a dissertation committee in August. Wang is a Ph.D. student in the Department of Accounting. She will defend her dissertation, titled "'Acquiring Firms' Strategic Disclosure Practices around Mergers and Acquisitions," at 2 p.m. on Monday, August 8. Tania is a Ph.D. student in the Department of Management and Information Systems. He will present his dissertation, titled "Capturing Value from Decentralized Supply Chain with Third Party Reverse Logistics," from 11 a.m. to 1 p.m. on Wednesday, August 10. These presentations will be held in the Vaughn-Hoover Executive Classroom, A325, of the Business Administration Building and are open to the public. For more information about the College of Business Administration's Ph.D. programs, visit http://business.kent.edu/degrees/ph.d. For more information about the College of Business Administration, visit http://business.kent.edu. Kent State University's College of Business Administration is fully accredited by the Association to Advance Collegiate Schools of Business International (AACSB) and one of the largest colleges of business in Ohio. The College has more than 4,300 students representing 50 countries with over 106 full-time faculty from 16 countries. The college grants undergraduate and graduate degrees, and is one of only three public business colleges in Ohio with a comprehensive Ph.D. program. The MBA program is offered with nine concentrations and five dual degree options. The Executive MBA program offer two tracks: one targeting corporate professionals and the other healthcare executives. The M.S. in Accounting, M.S. in Business Analytics and M.A. in Economics are specialized master's degrees for those seeking advanced study in these disciplines. The college boasts nine undergraduate majors, 12 minors and a Professional Sales Certificate program. The college is listed as a Best Business School by Princeton Review, ranked as a Best Business College by U.S. News and World Report, one of only 23 accounting programs worldwide to be endorsed by the IMA (Institute of Management Accountants), ranked Top-Tier for Executive Education in North America by CEO Magazine and ranked fourth by the SEF (Sales Education Foundation) in Ohio for providing Professional Sales Education.